It’s happening. Air fryers are big this year. And I’m very into it. 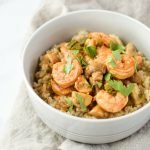 Crispy food without submerging it in oil? No heating up the oven? Homemade chips and chimichangas and mozzarella sticks?! I’m in. 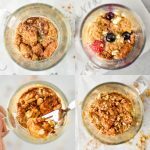 I own the Philips 2.75 qt Viva Air Fryer (affiliate link! ), and I absolutely love it! Frozen things that are normally baked or fried come out crispier than I’ve ever tasted. It also seems to work for drying things out (like apples for this recipe – I’m planning to try more things soon!). 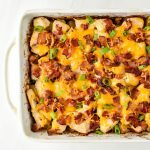 Plus you always save time by not having to heat up the oven, so that’s definitely a win. There’s a digital version of this air fryer that’s a bit more expensive. There’s also a bigger version of this air fryer you should probably get if you’re trying to air fry for more than a couple people at a time. 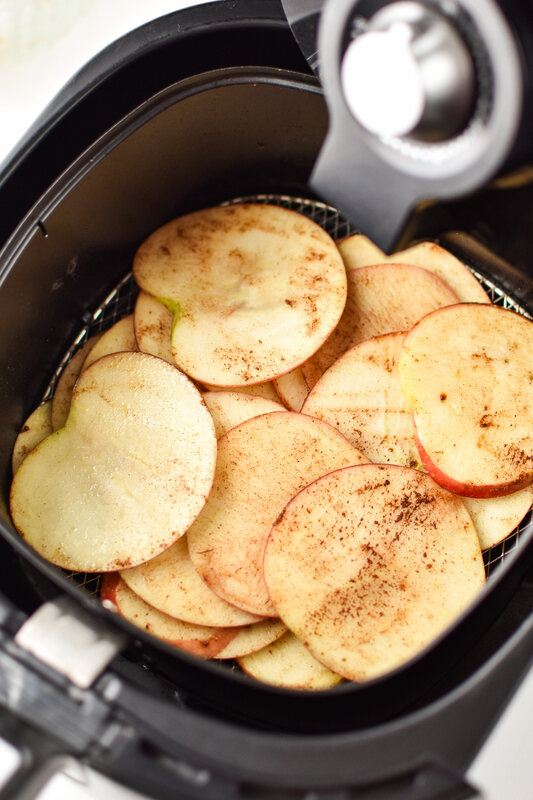 What type of apples are best for making apple chips in an air fryer? Large apples – Large apples give you large apple chips! It makes sense. If I’m going to go to all the work to slice, prep and then air fry an apple, I’ll take one on the larger side. 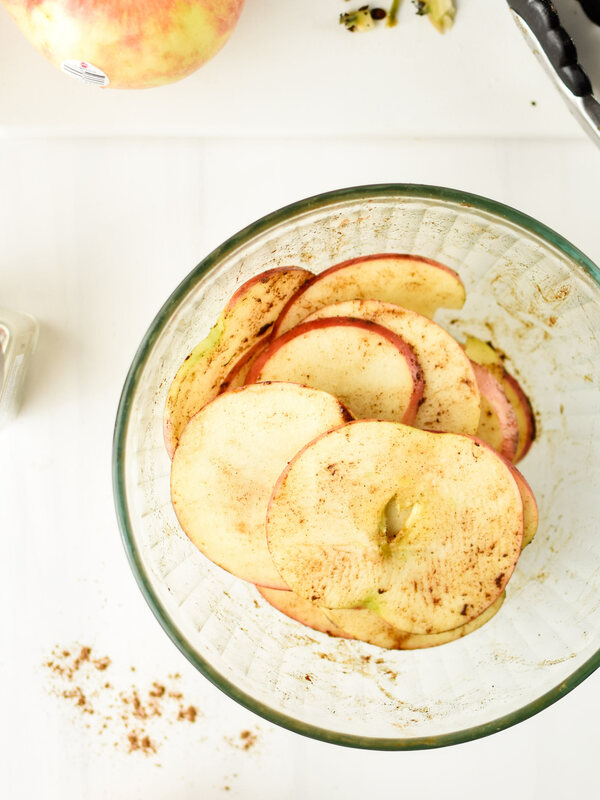 Sweeter apples – I like my apple chips sweeter without having to add any extra sweetener (they’re Whole30 friendly that way!). I like Honeycrisp, Pink Lady, and Envy apples. But I also add so much cinnamon that I’ll do any apple! 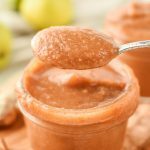 Cheaper apples – I found really nice looking, firm Jonagolds on sale at the store and used those for apple chips and applesauce. I seriously got a whole bag for less than $5. 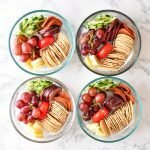 They’re not usually known for being super sweet, but between the cinnamon and everything being sweeter during our Whole30, they were super delicious. Try cheaper apples for your apple chips to keep costs down! 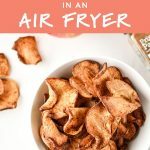 How do you get air fryer apple chips crispy? Watch them carefully. During the “crisping” phase, you have to watch the chips. Flip and shake often. Every 90 seconds is best. You’ll see just how quickly they cook once the temp is turned up. Give them each some “air time”. 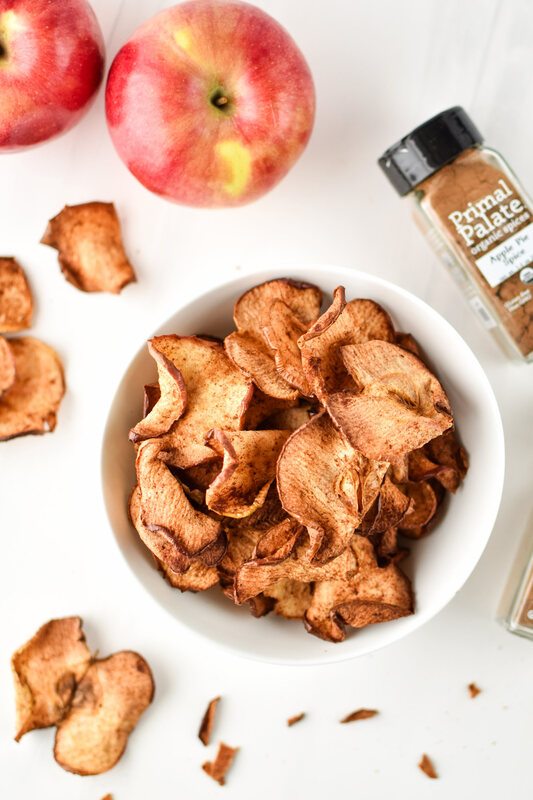 While cooking the apple chips, during both the “drying” and “crisping” phases, it’s important to make sure all the apples get their own time exposed to the hot air. If any apples slices are stuck together or are always in the middle of the pile, they won’t cook correctly. Give them each some “air time” by moving the apples often, and rotating them between top, bottom and middle. 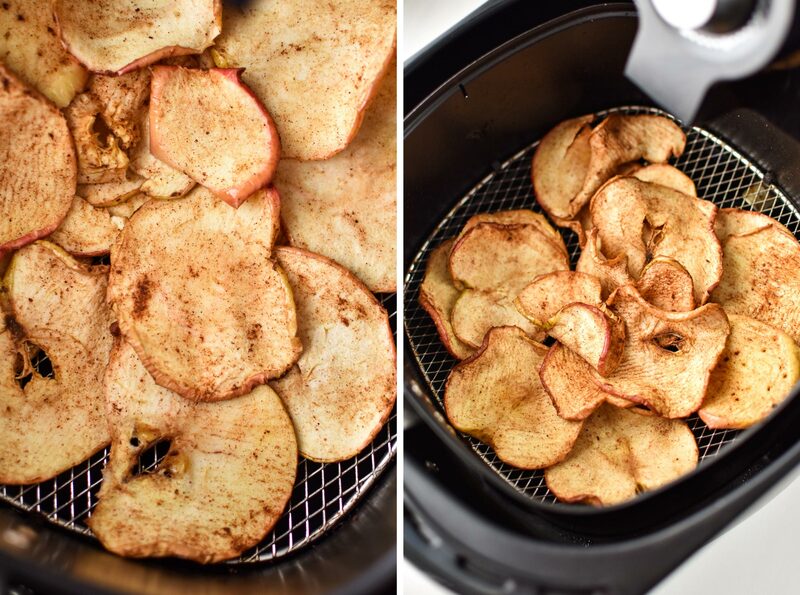 For maximum crispiness, I would enjoy the apple chips 10-20 minutes after they come out of the air fryer. 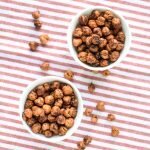 They will last up to 5 days in a container at room temperature but will become soft overnight. Best crunch is when they’re fresh but cooled off! 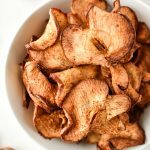 How do you make apple chips in an air fryer? 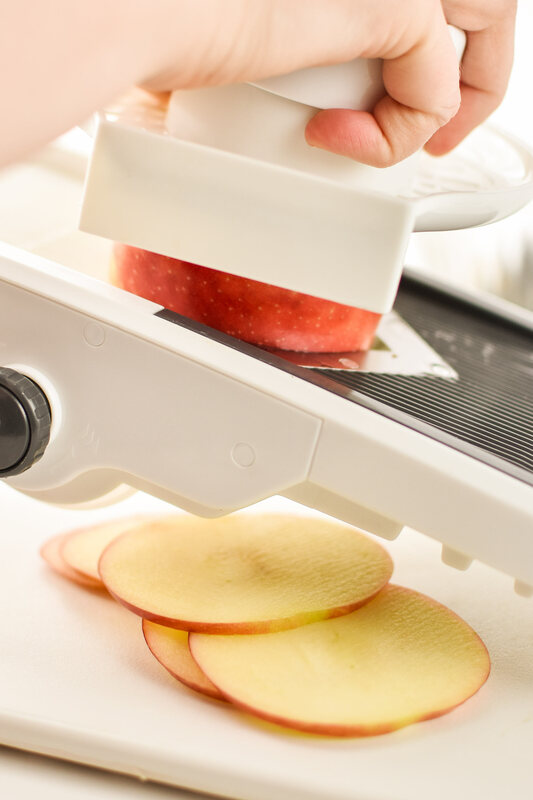 I prep the apples by slicing with a mandoline (I use the Mueller Mandoline Slicer (affiliate link!)). I try to make the apple chips about 1/8 of an inch thick. Not super thin, but thinner than I could cut with a knife. After slicing, I remove all seeds and stems and then toss the apple slices with a small amount of oil and some cinnamon. As I mentioned above, I have a two phase system for making apple chips in the air fryer. The first phase is “drying” and the second phase is “crisping”. Please remember that I use an analog air fryer so temperatures are approximate. You may have to experiment to find the right temperature settings for your air fryer. This phase takes place at 300 degrees F. The entire apple goes into the air fryer at once. I recommend continuing to cook the apples at this temperature until they no longer appear “shiny” or have any “wet” spots, at least 20 minutes but up to 30 minutes for larger apples. The apples should be flipped and rotated every 5 minutes. Make sure apples in the middle of the pile are rotated out to the top or bottom. At the end of the drying phase, the apple chips will appear dried, soggy, and the edges will begin to shrivel. They will look like the picture on the left after 15 minutes, and they will look like the picture on the right after 22-25 minutes. Once the apples are dried out, up the temperature to 325 degrees F.
Check, flip and shake the apple chips every 90 seconds to 2 minutes. The chips will begin to fly around the inside of the air fryer during this phase. They will begin to curl and gain color quickly. Remove any chips that are browning quicker than others. Again, check often. Any chips that get stuck to the top will burn. As the chips cool, they become more crispy. I made this handy little graphic to show you exactly how I like my air fryer apple chips. The difference in cook time between all three of these examples is about 5 minutes, so you have to stay near your air fryer when crisping the chips. What if my apple chips are burning? I don’t like burnt apple chips, and you probably don’t either. So let’s work on getting you some perfect apple chips. If your apple chips are burning, I would encourage you to try again with another apple. Just like microwaves and stoves, all air fryers are different and may be different temperatures than they say they are. You just have to keep trying and get used to your particular model. Try “crisping” at a lower temperature. 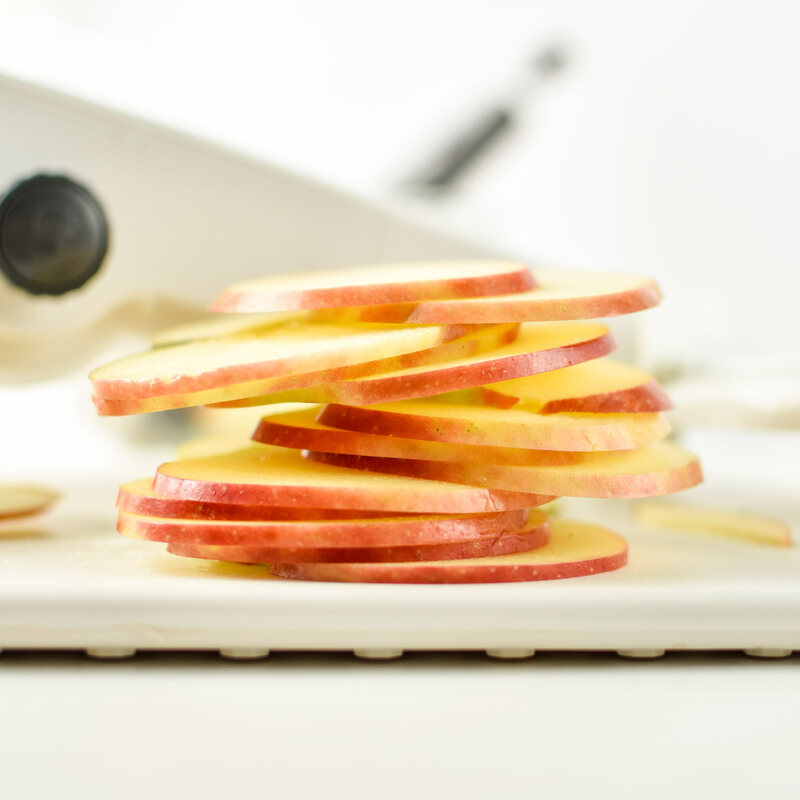 Try slicing the apple chips a little thicker. Check even more often and have tongs ready to remove apple chips one at a time when they are done. 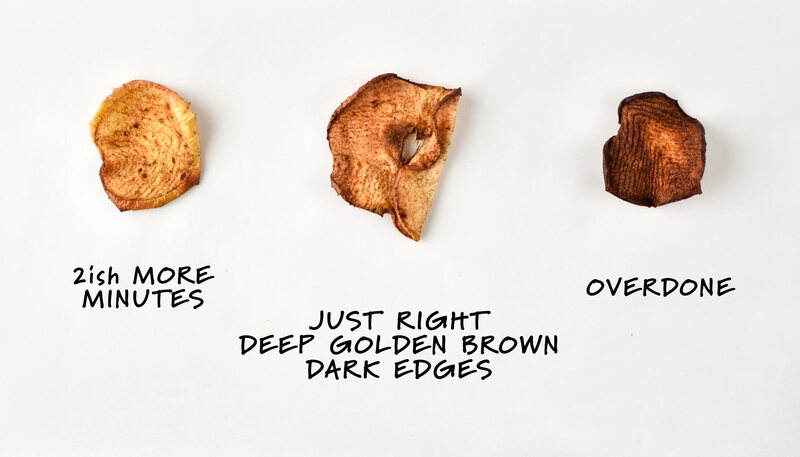 Try “drying” the apple chips a bit longer. 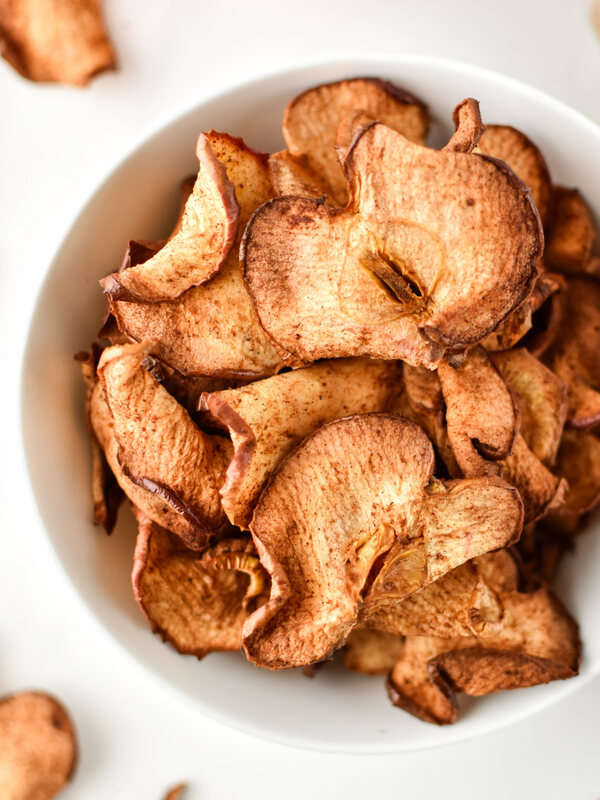 For maximum crispiness, I would enjoy the apple chips 10-20 minutes after they come out of the air fryer. This is totally doable if you make one apples worth of apple chips at a time! However, the apple chips will stay perfectly edible for up to 5 days stored in a container at room temperature. They will become softer overnight, so that’s why I recommend eating them right after they are made. 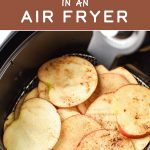 Thanks for reading How to Make Apple Chips in an Air Fryer! I want to see how your apple chips turned out! Tag me or use the hashtag #projectmealplan to show me! !